Life is so chaotic at present that I didn't even have time for a library visit last week (horrors) but on the positive side it did mean I caught up a bit. Today I returned a few and didn't really intend to bring any home but not hard to see which shelf changed my mind. 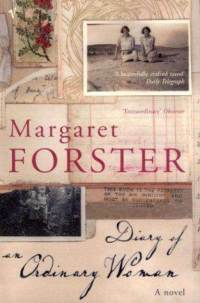 Diary of an Ordinary Woman by Margaret Forster.......I only discovered MF this year and have really enjoyed the two books of hers I've read so far. I'm not sure that this one should be in the fiction section as it appears to be an edited diary, of a woman called Millicent King, which spans the years 1914 - 1995 but it sounds interesting and I can't resist the lovely covers on these editions. 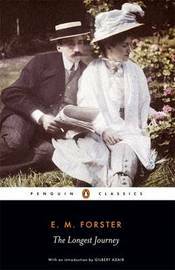 The Longest Journey by E.M.Forster.......I've just read Howards End which I loved so much I immediately wanted to read it again and promptly bought myself a copy. I doubt it will stay unread for long! Hi Max - hard to answer briefly. The detailed look at the Edwardian era, beautifully written, lots of humour.......I loved everything about it. I'm intrigued by Forster's words about The Longest Journey... adding to my wish list. I Hope you enjoy it. I'm intrigued because I'd never heard of this one - obviously not mentioned to gether with Forster's name as much as his other works. I have a hard time leaving the library without anything. Howard's End is on my tbr list. Knowing you enjoyed it makes me want to read it sooner rather than later. I certainly wish I'd read it sooner. I glanced at Forster's The Longest Journey as well, it sounds interest, look forward to reading your thoughts on it! Not as good as Howards End but interesting from the autobiographical persepctive. I really like Margaret Forster's books and by the way Diary of an Ordinary Woman belongs most definitely in the fiction section! My favourite E M Forster is A Passage to India. I very quickly discovered that it was a novel but those first few pages are so authentic they misled me. Fabulous blog....outstanding posts and a great blog title. Found you on the Literary Blog Hop List and decided to stop over. Stop by my blog if you like. I also have a giveaway going on. Hi Elizabeth.....thanks for your nice comments and welcome to the Followers. I hope you will enjoy reading and visiting again.